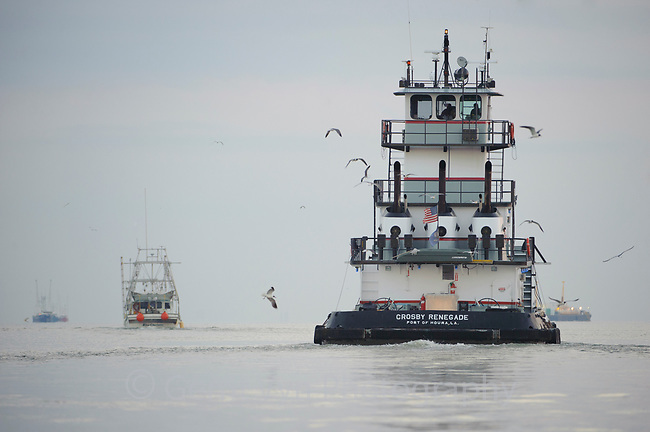 Laughing Gulls following a Gulf oil spill response tug at sunrise. Jefferson Parish, Louisiana. July 2010.